The right lighting can make or break a room. It doesn’t matter how well designed a space is, without proper lighting, the room will fail to make the desired impact. So how do you make sure your lighting is on point? The key is knowing the types of lighting, styles, and how to use them. 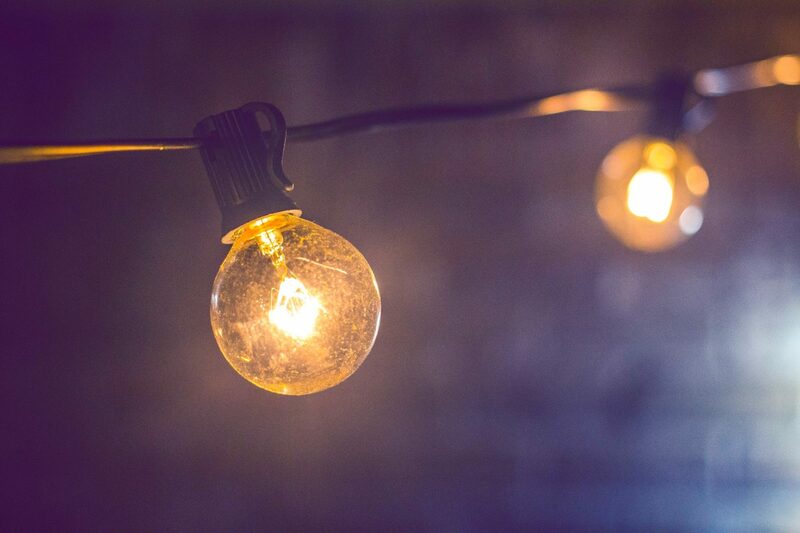 There are three types of lighting: ambient, task, and accent. 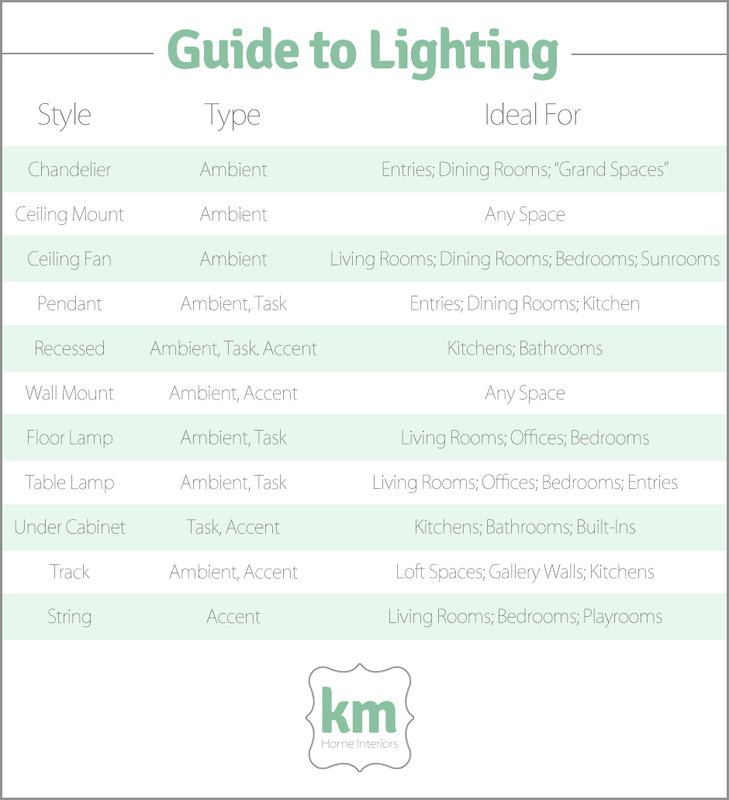 In order to properly light a room, you should ideally have all three types. Ambient is the powerhouse of lighting. It’s the overall light that will allow you to see inside of the space. Task lighting is exactly what it sounds like – lights that focus on a specific area allowing you to complete a certain task. This can be a reading lamp, desk lamp, or under cabinet lighting in the kitchen. Accent lighting is used to create a focal point in a room, such as directional recessed lighting used to point at art in galleries. It can also be used to highlight things like architectural features. Depending on the style of fixture, some lights can perform multiple tasks. A swivel floor lamp can be both ambient and task lighting. A wall sconce can act as ambient and accent lighting. Clever placement of fixtures can allow you to properly light a room without having to buy a separate piece for each function.